Testing device control in Crestron systems typically consists of creating a Crestron SIMPL Windows program with IR, serial, and IP control modules assigned to fixed control ports. To test various commands, drivers, and modules, installation technicians have to rely on programmers to build, test, modify, and recompile multiple iterations of a program. 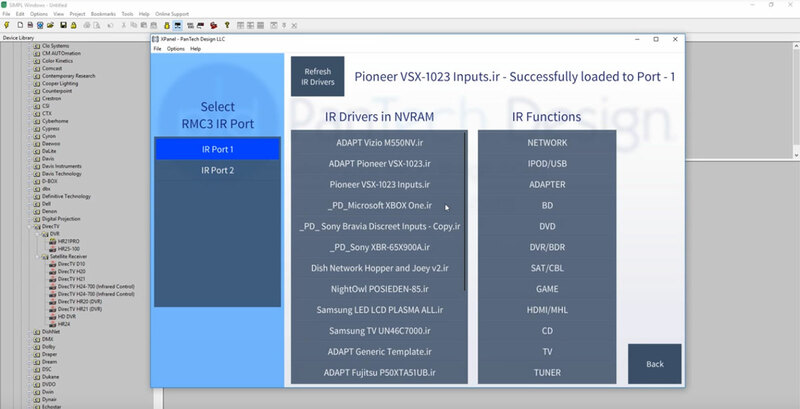 The PD Device Tool allows field technicians to load IR control drivers directly to the Crestron processor, then test different IR code sets quickly. In addition, technicians can quickly switch between any control port on the system. For serial and IP control, controlled devices can be connected to directly for testing string commands. And all this is accomplished from an easy-to-use interface on a computer or tablet. "This is a real time saver and completely unique in the industry," commented Troy Morgan, owner of PanTech Design. "We put a lot of time into developing and testing this tool, but offering it to the industry for free is just our way showing gratitude for all the support we've received over the years. And, I believe in 'paying it forward.'" The PD Device Tools is free for all Crestron dealers and available for public download at pdadapt.com/downloads. PanTech Design is a veteran Crestron Services Provider and creator of the Adapt Software Suite, a revolutionary set of tools that simplifies programming and configuring Crestron control systems.